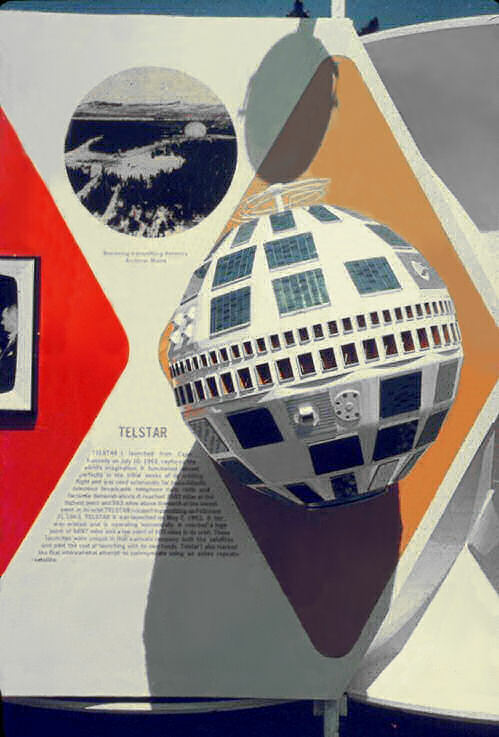 I'd love to know the story about why someone ripped up this particular part of the Telstar display in the US Space Park. 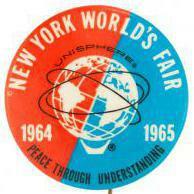 August 1964. Had to be souvenir hunting. 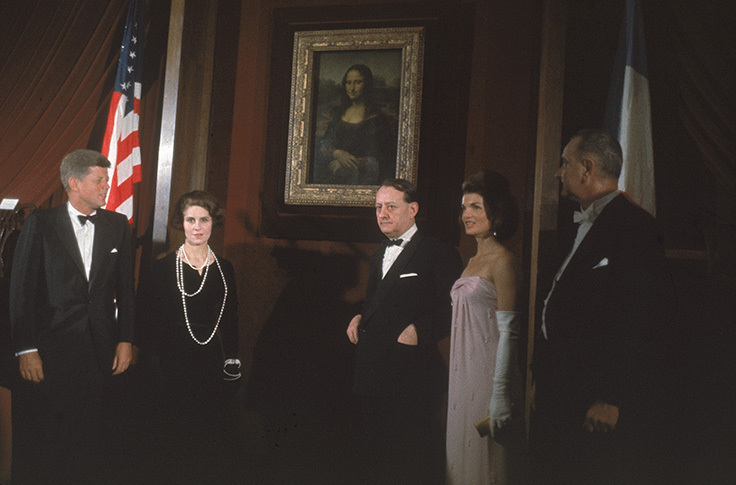 Here's an AP photo from the same event (you can see the same two figures and the Mona Lisa). Evidently it was televised to Europe. 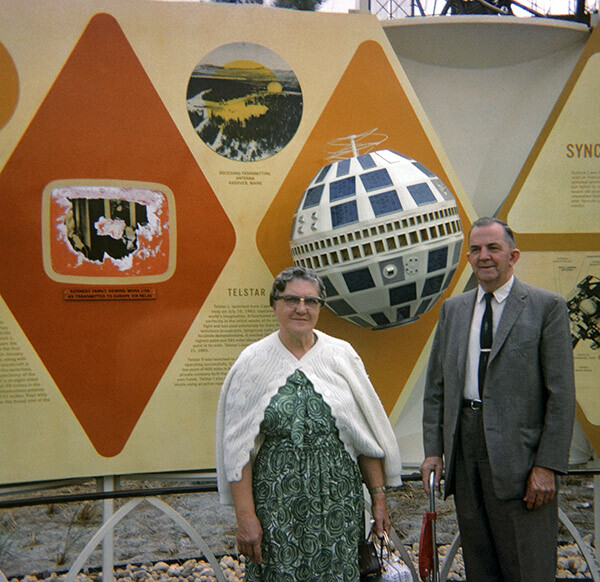 Mike Kraus's photo is not dated, but shows a bit of that panel. At first glance I thought it might be Lyndon Johnson and wondered if they replaced the Kennedy photo with an LBJ photo. ...but then I found the AP picture and others from the event, which identify the person as Secretary of State Dean Rusk. 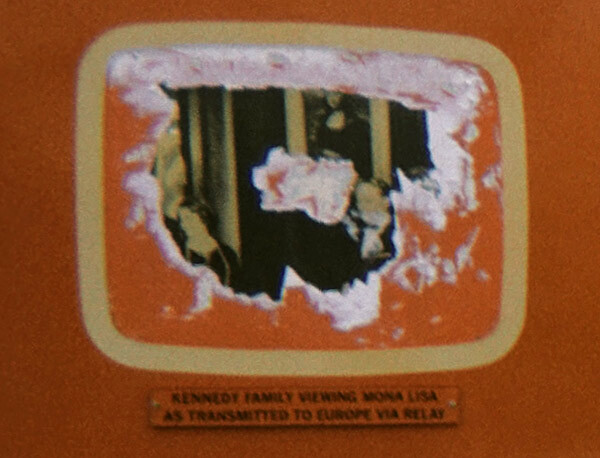 This was the Mona Lisa on loan to the U.S. which was televised to Europe. 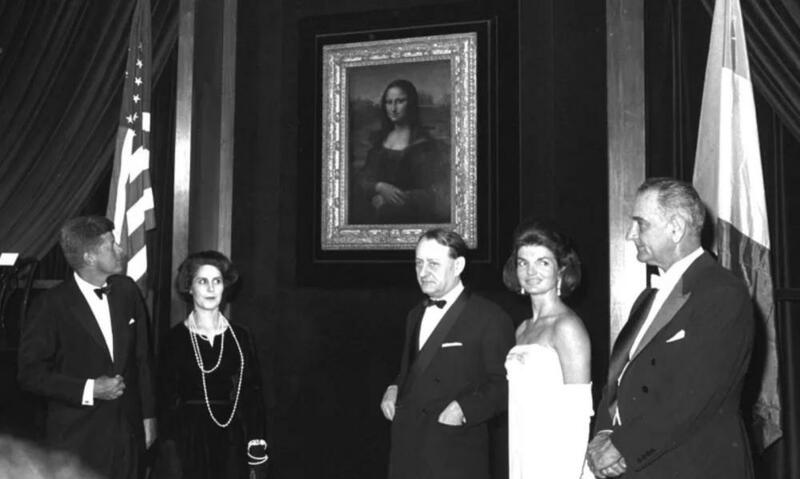 This photo was taken during the unveiling at the National Gallery in January of 1963. The painting was also displayed at the Metropolitan in NYC that same year but was nearly ruined when a fire sprinkler broke. I don't know if the French government has forbidden future loans of the Mona Lisa but it has determined it, and a number of other art works in French museums, can never be sold. It's ironic considering the Mona Lisa is an Italian masterpiece created by the Florentine Renaissance artist, Leonardo da Vinci. It may have been purchased by French nobility about 1518 and it spent decades at Fountainebleu until Louis XIV, who demanded all great art become a possession of the Bourbons, moved it to Versailles. In later years, Napoleon had it installed in his private quarters in the Tuileries in Paris. Once it found its way to the Louvre, it was moved into hiding during three wars---Franco Prussian, World War One, World War Two. As for the Pieta, Craig is probably correct in that there were some Italian concerns when it was sent to NYC. However, it is the possession of Vatican City. Italy has no control over it.